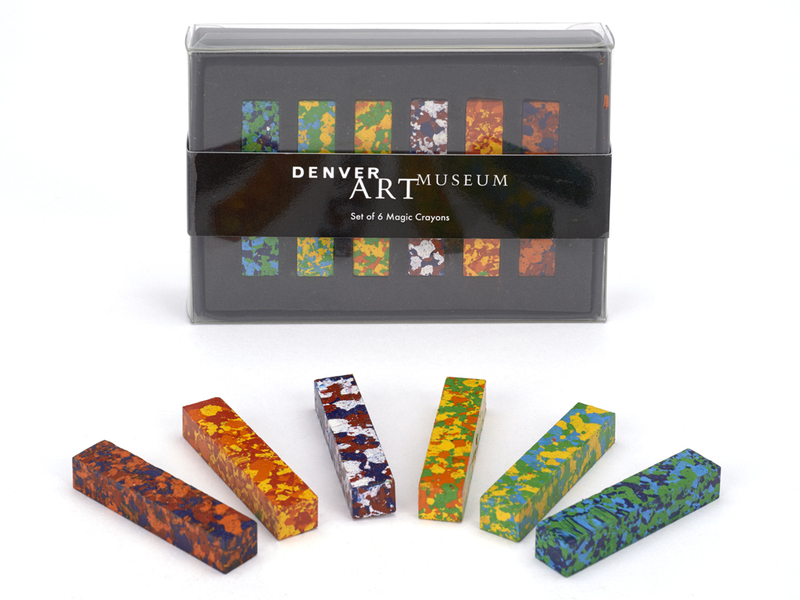 Set of 6 rectangular magic crayons come in a Denver Art Museum branded transparent box. 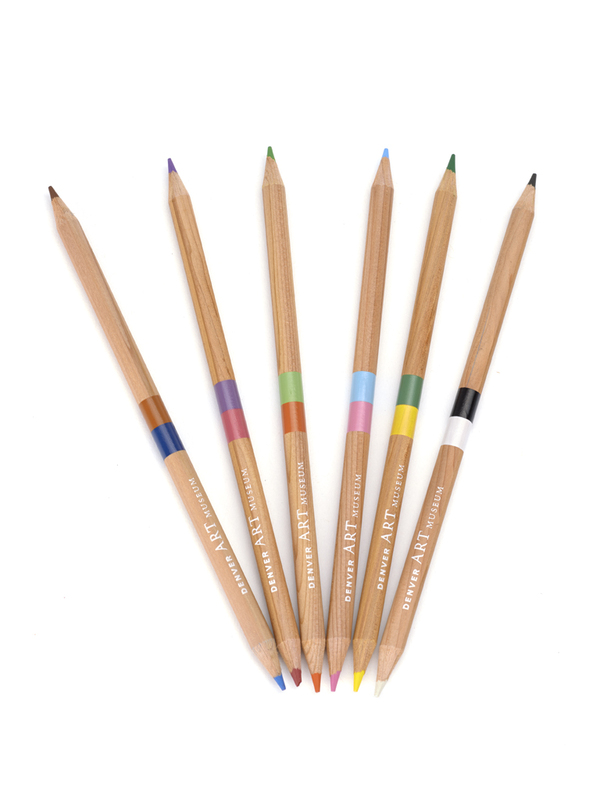 The multi-colors create a constantly changing color effect when drawing. Each crayon measures 2 x 1/4 x 3/8 inches. Fun compact gift for traveling!